For members of the notorious Salvadoran street gang known as MS-13, the mara – gang – provides protection, respect and a sense of belonging. Completing a stint in prison is a kind of “graduation’’ for gang members. Forging a life outside the gang, however, is a difficult – and dangerous – process. 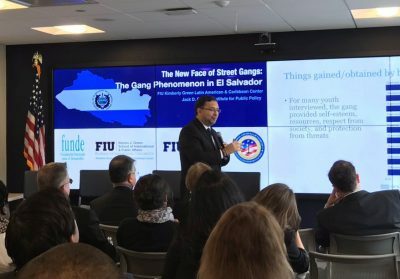 To better understand the nature of youth gangs in Central America and how members are able to leave the gang – a process known as “desistance” – FIU researchers surveyed nearly 1,200 current and former gang members in prisons, juvenile centers and rehabilitation programs in El Salvador. “The reasons for joining a gang have not changed in the more than 20 years I’ve been doing this research,’’ said Jose Miguel Cruz, director of research for the Kimberly Green Latin American and Caribbean Center and lead investigator of the study. Central American gangs – and particularly MS-13 – are among the most violent in the world. 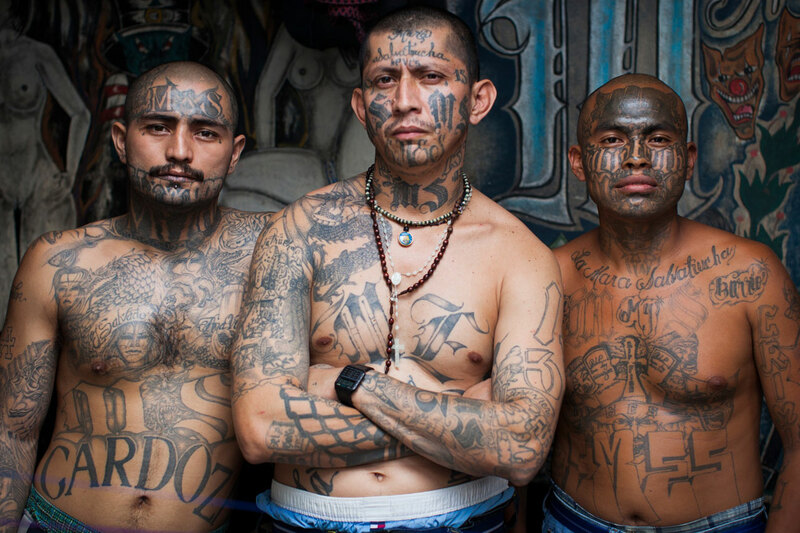 One of the largest and most highly organized, MS-13 – or Mara Salvatrucha – is also active in major U.S. cities, including Los Angeles, New York and D.C. President Donald Trump has singled out MS-13 as one of the nation’s top gang threats. Understanding gang life is essential to helping gang members who want to leave, said Jonathan Rosen, a research scientist with the Jack D. Gordon Institute for Public Policy, who conducted dozens of in-depth interviews with current and former gang members in El Salvador. Jose Miguel Cruz, director of research at the Kimberly Green Latin American and Caribbean Center, presents his research on Central American gangs during an event at FIU in D.C.
“The New Face of Street Gangs: MS-13 and the Gang Phenomenon in El Salvador” – is the first study of its kind conducted by a U.S. university. Along with FIU President Mark B. Rosenberg and LACC Director Frank O. Mora, Cruz and Rosen presented their findings recently during an event at FIU in DC. Contrary to a popular misconception, the study found that exiting a gang is possible – through negotiation with gang leadership and the involvement of religious or non-governmental organizations that can provide a safe space for former gang members. Training, education and job opportunities are critical components to successful rehabilitation from gang life, Cruz said. A gang rehabilitation program run by League Collegiate Outfitters in Central America has been successful, Cruz said, because it offers former gang members a protective environment, as well as employment, educational opportunities and tangible support. The results of FIU’s research can better inform future policy decisions in the U.S. and Central America, said Cynthia Arnson, director of Latin American Programs at the Woodrow Wilson International Center for Scholars, who participated in a panel discussion on the study. Funded by the U.S. Department of State and supported by El Salvador’s National Development Foundation (FUNDE), the study is a collaboration of LACC and the Gordon Institute, both parts of the Steven J. Green School of International and Public Affairs. To view a summary, click here. To watch the event online, click here. WIll save the USA tons of money because so many people will not be running from their own country anymore out of fear. In my hometown, we have different gangs that have recently started to form. Now, the main reason that I’ve singled out is poverty. If the government doesn’t step in on time, things are about to go from bad to worse fast.